This week the Huskers take on another Big Ten Conference foe, the Indiana University Hoosiers. The Hoosiers are 3-2 and just coming off a 17-38 loss to the Ohio State Buckeyes. Ironically, their Bloomington, Indiana stadium is also called Memorial Stadium, which is where they are playing this week. Those of you from Omaha may recall Clancy’s as an Omaha institution, at one time having 4 Metro-area locations. Now they have two: the original one at 72nd and Pacific Streets, and the other just south of 168th and Center Streets. 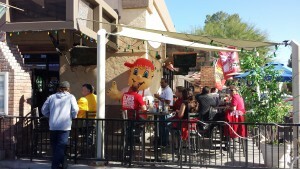 We are fortunate to have our own Clancy’s right here in Scottsdale at 4432 N Miller Rd #107, Scottsdale, AZ 85251. 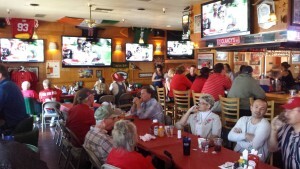 Come out to support Clancy’s and get your game day punch to stay in the running for the end of season prize raffle.